North Wales is an adventure playground packed full of thrill activities and options for the more sedate weekend away in stunning countryside. 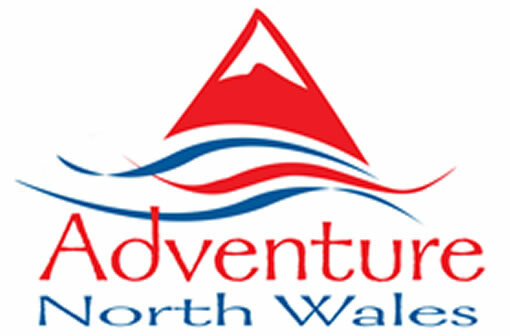 Adventure North Wales have arranged activity breaks in North Wales since 1996 and even have our own property Ty sinamonin Bala. We offer the most comprehensive range of activities and accommodation for you to choose your favourite short break or day away. Activity days, weekends, short breaks and team building events with or without accommodation, you decide which combination of activities and the type of accommodation you wish to stay in. Select your activities and standard of accommodation and tailor-make your most desirable weekend. Our most popular weekend breaks include 2 activities split over 2 days with an overnight stay. If you've never experienced the sheer thrill of white water, now's your chance! We kit you out in a wetsuit, buoyancy aid and helmet, then run through the basic manoeuvres on dry land before launching onto the river. The course runs a kilometre and a half through swift rapids with names like Ski Run, Graveyard and Donkey's Kick. Talking of kicks, this trip kicks your average theme park white-knuckle ride straight into touch. This activity will last for 2 hours and will include 4 runs down the river. Located in Bethesda quarry we take you on a ride of a lifetime on two ziplines, the first a meagre 800m of torpedo speed down the Little Zipper before taking the 20 minute guided tour up to the launch pad of the 1600m Big Zipper. The speed test was initially 80mph and now they say 100mph... Whatever speed you fly at, the acceleration at launch is incredible and at an altitude of 700ft over the lake, the most amazing view (if you have your eyes open!). This 2-hour event is a brilliant way to explore beautiful North Wales countryside from the saddle. Led by local guides, you follow tree-lined trails across the hills. Thrilling off road riding with spectacular views of the surrounding area. Our quad bike treks are a new and exciting way to appreciate the dramatic landscape of the Welsh Valley’s. You spend the experience in a 5 acre free ride area with mud bogs and rolling terrain to put the bikes through their paces. There are 6 quad bikes, so the activity works for groups up to 14. The Orca activity in North Wales is an exhilarating experience on guaranteed white water rapids. The 2 man Orca inflatable craft which you have total control down the grade 3-4 rapids. North Wales has some of the best rafting in the UK and this dam controlled river guarantees a superb activity. If you think you're ready for the next level in underground challenge, our Challenge Xtreme adventure will be just what you're looking for. Starting from our base at the Conwy Falls Cafe, we kit up with a harness, helmet, lamp and Wellington boots before heading off in the Land Rovers to one of the largest and deepest abandoned slate mines in the world. After a short walk up to the entrance with stunning views on all sides, we enter the labyrinth of over fifty miles of tunnel and over a thousand spectacular caverns carved by the Victorians though the very heart of a mountain. The going gets tough quickly, and it stays tough. Our route takes us over many lofty traverses - balancing on old beams or pipes over breathtaking voids of darkness. We cross ancient timber bridges and abseil off hideous drops to sink deeper and deeper under the earth. A thrilling subterranean journey to explore the disused Welsh mines in the Snowdonia National Park. You will encounter hidden lakes, lofty caverns and ancient machinery from a bygone era. The journey includes zip wire traverse, climb rock faces, boat across the water, abseil off ledges and scramble over boulders. A true Indiana Jones excursion into the unknown. We provide wellingtons, harnesses, head torches and safety equipment. The journey is through generous sized passages which allows you to stand throughout the activity. The journey lasts 3 hours, but allow 5 hours to walk up to the entrance and exit. This is NOT potholing or caving…..
White Water Tubing offers guided trips for people who want to experience the ultimate White Water thrill or just a relaxing float on the water. The trip is the ultimate Tubing trip for all ages and abilities. Your river guide will guide you down the river. You will find yourself navigating your way down rapids such as Serpents Tail and Bolder Blast as well as relaxing and enjoying the scenic Valley. The activity will last about 3 hours, this will include kitting up and your safety brief. The Fforest Coaster is a 710m descent based on the traditional toboggan but runs on rails, which offers an all year, all-weather experience. Start your journey in the heart of the woodland, taking your sledge on your own or in pairs, and travel on the uplift through the trees. You will then fly through the forest at exhilarating speeds! You can control the speed up to 25 miles per hour. You can travel as close as 1.5 meters to trees which makes this feel very fast. There is an independent lift system that carries passengers and the sledge to the top.There is a lockable seat belt system which is active as soon as you start at the bottom. The self-braking system and distance control system limits maximum speed and keeps the distance in between the sledges. Descend into a uniquely atmospheric underground adventure inaccessible for nearly 200 years! A journey of adventure and discovery through underground caverns on ziplines, rope bridges, via ferrata and tunnels, away from the outdoor elements. After being kitted out, instructors complete a safety brief and training on using the ropes system before heading out on the main course. Nothing beats the smell of burning rubber! A fun day for everyone who enjoys the challenge and exhilaration of driving a top of the range 4 x 4 off road vehicle. The location is one of the most challenging in the business and is used by many of the leading off road manufacturers for product launches. It's your not-to-be-missed opportunity to drive off-road up steep inclines, rugged cambers and through the lake. . You'll receive expert tuition on the vehicles; terrain and how to plot your route from fully qualified instructors. It's a natural adventure playground for grown-ups, as we go boulder hopping, splashing along in the river, jumping into rock pools, and sliding down granite slabs. An energetic, exhilarating experience amid stunning scenery, with sheer rock walls rising on both sides of the river - it's like a lost world. Bring sturdy footwear with a good grip - and a sense of fun! All under the supervision of your experienced guide. Climbing is one of today's fastest growing sports, and courses can be tailored to suit all abilities, so you always rising to your own personal challenge. Our single pitch rock climbing sessions are for novice and beginners, so ideal for an introduction to this excellent sport. Don't worry if you've never climbed before - our fully qualified instructors will show you the basic techniques of planning a route, rope work and foot and hand holds. All equipment is included. The thrill of watching a clay shatter in flight is so overwhelming; you’ll probably miss the next one! Our professional venue has a range of traps set up to simulate the flight of different wild birds such as the Grouse, Pheasant and Rook, all have different flight patterns. Under the watchful eye and expert guidance of our instructor, hopefully you’ll soon be hitting far more than you miss! Explore the hidden corners of North Wales. At a slightly slower pace then the rafting. You have more of chance to take in the spectacular scenery. With the odd water fight in the middle. The ancient skills of survival, shelter building, water sourcing, basic food identification, signalling and of course fire starting are all taught, combine this with the fury of white water rafting and you will soon learn the deep respect for nature that is at the heart of Bushcraft. North Wales has excellent treks and trails for all levels of rider from beginner to advanced rider. Our centre offers guided rides with sound bites of tuition to ensure you get the very best experience from the high tech bikes. 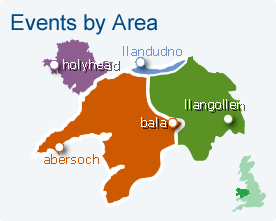 The activity takes place in Glyn Ceiriog Valley or Betws y Coed. We supply bikes and helmets and a list of recommended clothing. Minimum age 12 years. Once equipped with buoyancy aids, helmets and paddles, teams are given a short time to design their raft. A selection of materials are at hand, plastic barrels, long poles, short poles and not forgetting the all important rope. Raft Building focuses on group dynamics, communication skills and leadership. When rafts are built, the group paddles their rafts around a set course on a woodland lake. Two hours amongst the Snowdonia National Park canopy. The adventure course starts at ground level, as you cross the rope bridges, scramble over cargo nets the ground falls away to leave you 65ft above terra firma!! The course involves a journey through the trees. This is a half day multi activity event - a 2.5 hour time objective event where each team has to travel over water, land and air. The event includes the team to travel in Canadian canoes, on foot, build a team raft which has to be paddled downstream. The teams then have to build a river crossing using ropes, pulleys and other items to transfer themselves to the other side. Following a short welcome briefing you will be led out to the archery range where you will learn how to safely handle the equipment. A highly experienced, specialist instructor will then provide tuition on the techniques required to hit the target. You will be surprised at just how good you will be after just one lesson. A memorable journey around the base of some sea cliffs. The journey will include swimming in the sea, scrambling on the rocks, jumping from various heights into the water and squeezing through natural rock tunnels. All the challenges can be avoided either by a swim or a walk providing you let your supervisor know nice and early. Discover remote sandy coves, gaping sea caves and staggering sea cliffs. Complete beginners can undertake instruction in a sheltered bay, and experienced paddlers can learn to kayak on the challenging tidal races. Paddlers of any level can enjoy a half- or full-day kayaking expedition under the guidance and tutelage of one of our professional instructors. Paintballing is one of the most exhilarating activities you can take part in North Wales! Imagine it now, you're deep in the forest, hidden from view, obscured by a fallen tree. BLAM! paint sprays from the tree in front of you, you are under attack!